Hiring? Toptal handpicks top PHP engineers to suit your needs. * in objects, in a LIFO order. Why the K in front of all the class names? Nooku’s main library is code named “Koowa”. 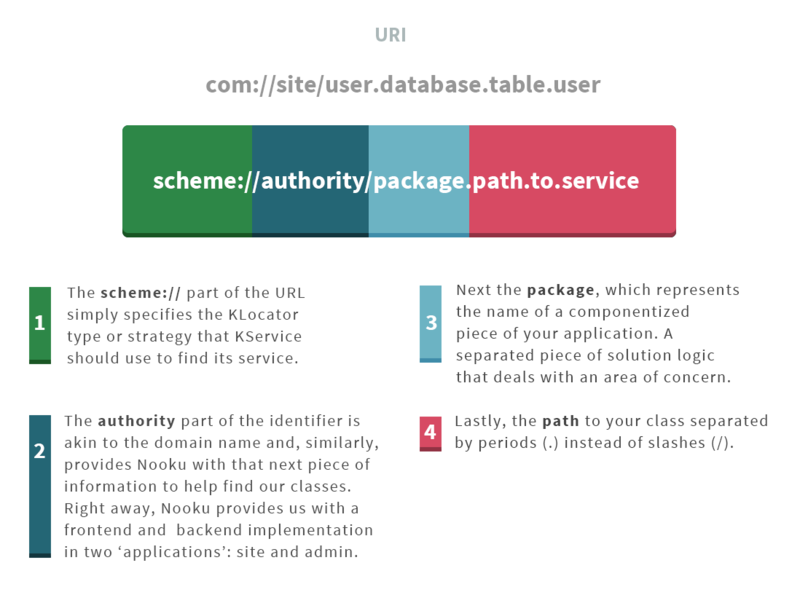 Every object in Nooku is a composition of objects in that every one of them contains a reference to the entire application’s instantiated services in a ‘service container’ and a method to access the services called getService(). 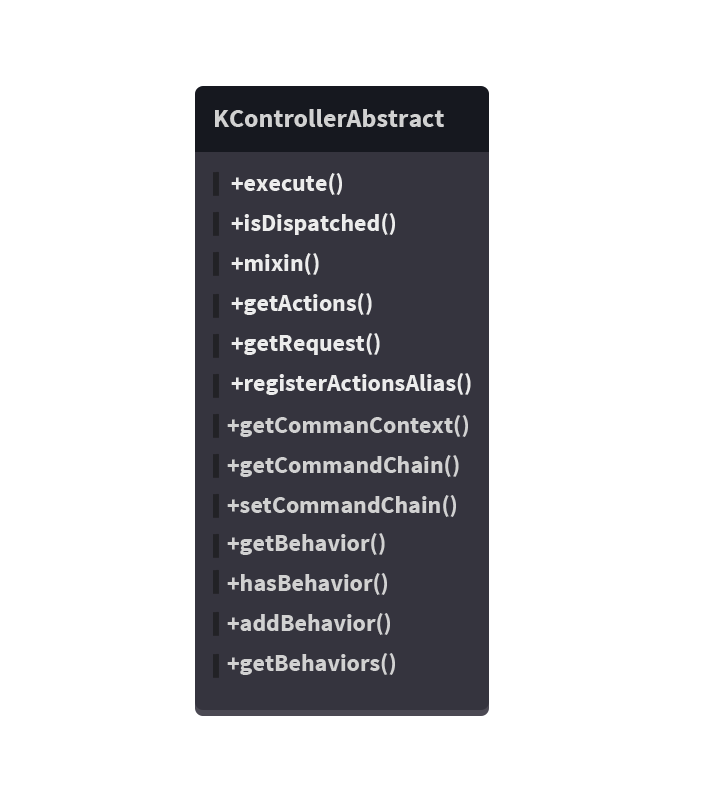 All that’s required by the KObject::getService() method is that we pass a valid resource identifier and it will return an instantiated service ready for use. This is all the information necessary for KService to locate and load the appropriate class. These pieces match up with Nooku’s class naming and placement conventions which provide predictability of placement and instantiation. The identifier example from above (com://site/user.database.table.user) attempts to load the file /components/com_user/databases/tables/user.php, which has a class name of ComUserDatabaseTableUser. Incidentally, if the file doesn’t exist the framework will give you a default table object and build it based on database naming and id schema conventions (this hooked me some more). As mentioned previously, KService also allows you to set aliases for your identifiers. Using KService::setAlias('maindbaseadapter','com://admin/default.database.adapter.mysqli'); lets us load a db object with KService::getService(‘maindbaseadapter’). This gives us the decoupling we talked about and provides a marked advantage in maintenance and extension of our applications. We are free to create applications other than ‘site’ and ‘admin’ if needed and through the identifiers described here can use services located in other applications readily to help our solutions meet their requirements. Again, this is another example of how Nooku provides PHP and RAD developers and teams with support for the composition of not only single class objects but of entire services and applications… for free. 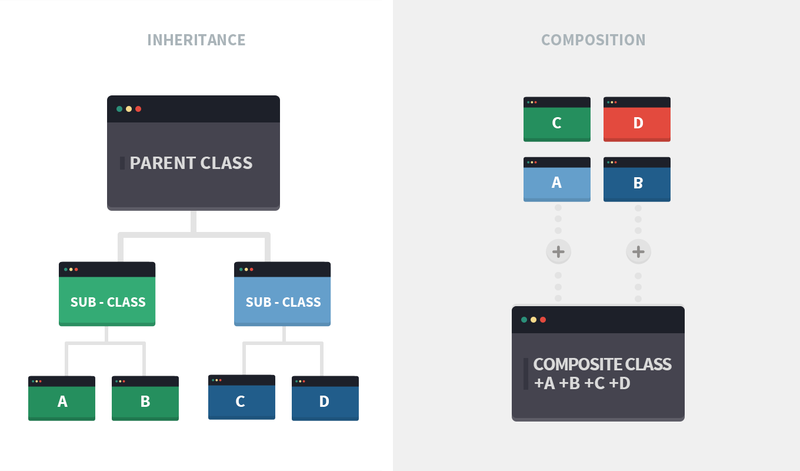 With composition over inheritance at its heart; the smart, pre-existing compositions and structures that exist to support further amalgams; and the free service-oriented architecture with the identifiers described here, Nooku provides a powerful RAD framework with a significant head-start over any of its peer PHP development tools. Woah, amazing read. Thanks for that Cameron! Cool, glad you liked it Gael. Although I like the approach Nooku takes, I’m not too fond of the class names (i.e. KService). I’d like to see it use namespaces rather than having that ‘K’ prefix in _every_ one of my classes. Thanks for stepping in Johan! There are some great things happening with Nooku, far too many to cover here. I'm actively looking forward to using 13.1. Its SUPER clean, and I love some of the design decisions that have been made. My hat's off to the Nooku community! My pleasure Cameron, kudos on the excellent blog post. Nooku is very good framework for developer, you can also new features of php 5.3 such as auto loading, namespacing etc. You can implement you business with nooku.